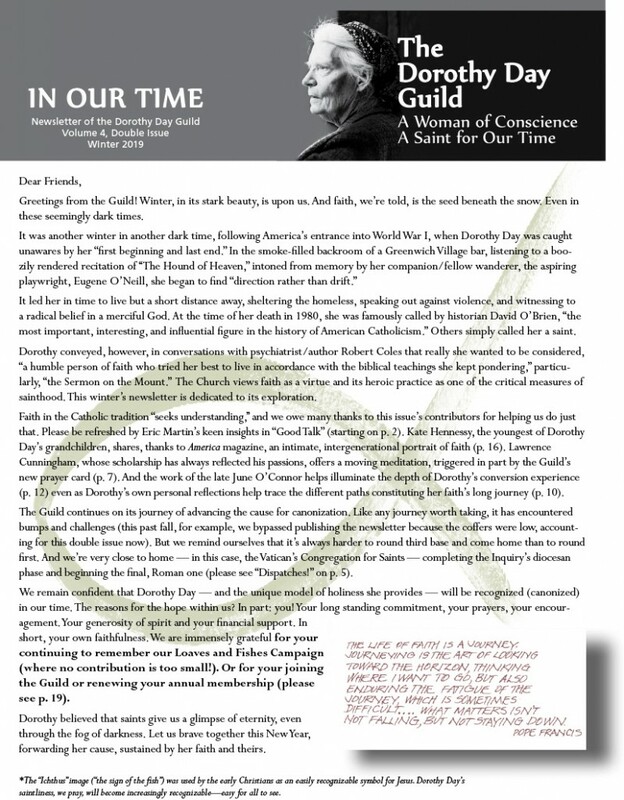 Please enjoy reading the Winter 2019 issue of In Our Time, the Guild’s newsletter. 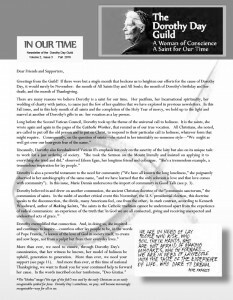 Earlier issues have explored the distinctive gifts Dorothy Day brings to the Church. Recent issues look at how she lived the great “theological” virtues of faith, hope, and charity — one of the requisite “proofs” of her holiness. We worked backwards, starting with charity and culminating now with this double issue on faith. 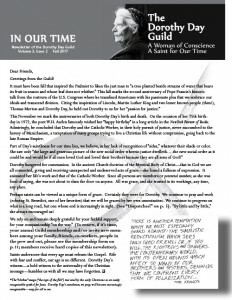 Guild members receive hard copies of the newsletter, 4 issues annually, as a thank you for their membership. (If you’re not yet a member, we encourage you to become one and thank you in advance!). 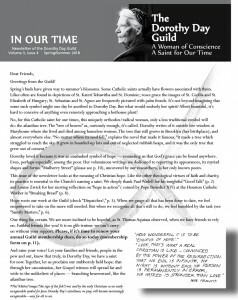 We hope In Our Time furthers conversation on why saints matter in general and why Dorothy Day matters in particular. We also hope it invites the exchange of stories from people whose lives, in very different ways, have been affected by Dorothy and the Catholic Worker. 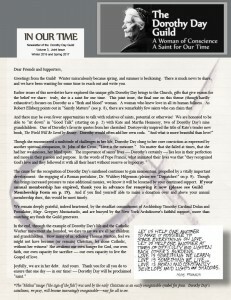 We even hope it sheds a little light on the complex process of canonization while keeping you abreast of all the progress made in advancing Day’s own cause. And a final hope! 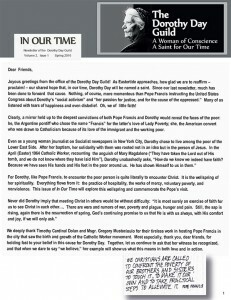 That you not only read and enjoy In Our Time, but also share it with others, helping to spread the belief we hold fast — that Dorothy Day is a saint for our time. 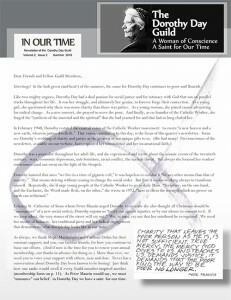 Click the image(s) below to read this current issue and all past issues.